This port is my first trial at OpenSource development, SDL programing and generally speaking Linux. 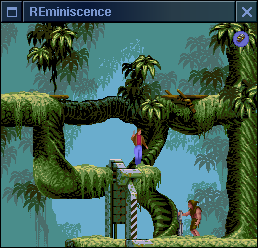 While rather an impressive game all the credit should go to cyx (Gregory Montoir) for his great work on REminiscence, because this "port" is merely just a simple recompile with a few settings altered. Flashback is not a free game, to be able to play it with this new engine you need the game data. 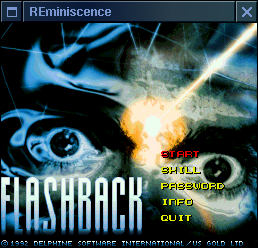 This port should support all the file format supported by Cyx's REminiscence. The PC game data, both the DOS and the CD-ROM version are supported (in my opinion vector graphics looks better than the video of the CD-ROM version).